Tasting the first wine samples of the new vintages is always a special event! 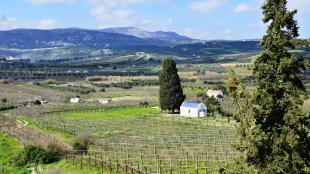 Especially when farmers that cultivated the grapes have been invited as special guests! Such an event took place on Wednesday February 3, in the Lyrarakis winery cellar, in Alagni, on the island of Crete. It was combined with the second meeting of winegrowers’ awareness about Futouris project “CONNECTING SUSTAINABLE WINEGROWING with the HOSPITALITY SERVICES: Focusing on Cretan varieties threatened with extinction”. 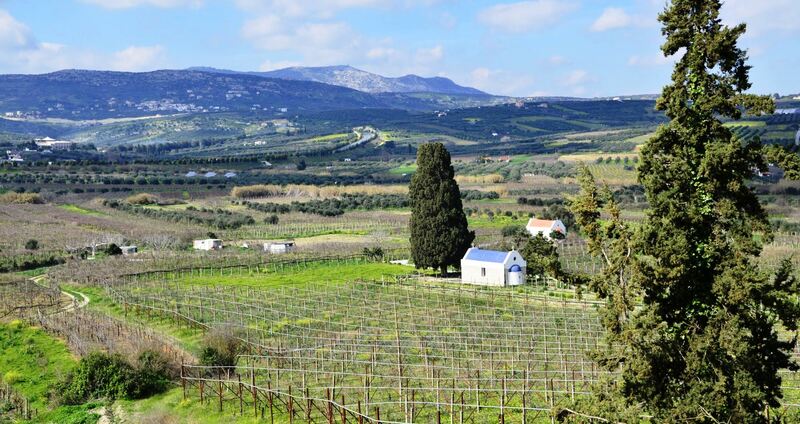 In this meeting, winegrowers that cultivate Crete’s indigenous varieties and participate in the “group of excellence” were informed by the project’s Sustainable Winegrowing Scientific Committee about the milestones of this Futouris project. Additionally, the agricultural specialists of Local Food Experts informed the winegrowers about the Key Performance Indicators of Sustainability that the project should address on the vineyards. 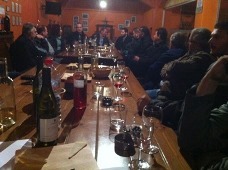 The winegrowers expressed their questions about group organization details and sustainability issues. We were happy to welcome five additional winegrowers joining this second meeting. Those farmers had been told by other winegrowers about the initiation of the sustainable winegrowing project and they expressed their enthusiasm to join the group. Since the participants’ number is limited up to 24 winegrowers, the newcomers are welcomed to join the “group of excellence” as followers and become applicants for future project development. After this event, during February 8-17, the Sustainable Winegrowing Scientific Committee visited all vineyards of the 24 participants. The scope of those visits was to map the vineyards, consult on pruning techniques and commence the identification process of native varieties.